What should have been two nights of a grand festival became one explosion of colour and mas. Saturday 21st of July 2018, Trinidad got a taste of Carnival 2019 at Tribe Carnival's Festival of Bands which was held at the Jean Pierre Complex also home to the Soca Dome. Tribe Carnival celebrated 15 years and the addition of yet another band Pure Carnival to its already house of bands which include last years addition Rogue, Harts, Bliss, The Lost Tribe and of course the mother band Tribe. If anyone knows how to through a party hands down that group is Tribe, their festival themed surely showed with numerous activations such as beer pong, free caricature and temporary tattoos, photo booth and more, this cooler event also had complimentary drinks for all including Carib Beer, Smirnoff Ice, Shandy Carib cocktails, Campari, White Oak Rum to name a few. It was time for the costumes and around 9 pm patrons where introduced to the 6 bands presentations for 2019. Opening the show was Harts’ 2019 presentation of Legendary. This was followed by Pure Carnival’s 2019 presentation Strut. Bliss then presented its 2019 design Muse and closing of the first segment. The Lost Tribe started back the show with an amazing opening segment that took everyone to India for their presentation, Taj. This was very refreshing and a crowd favourite. Up next was Rouge with Red...The Rise of Mars. Closing the event was Tribe, with its presentation XV The Empire. Machel Montano then blessed the stage singing his hits and this year's road march Soca Kingdom. 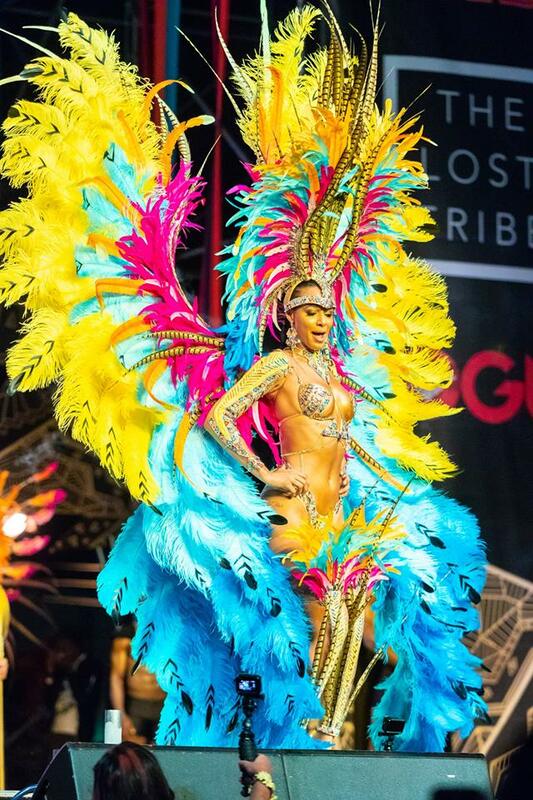 The Tribe group of bands has a costume for everyone and with their years of experience and dedication to providing World class service for its masqueraders, Tribe Carnival is highly recommended by us here at Caribbean Vybez International.